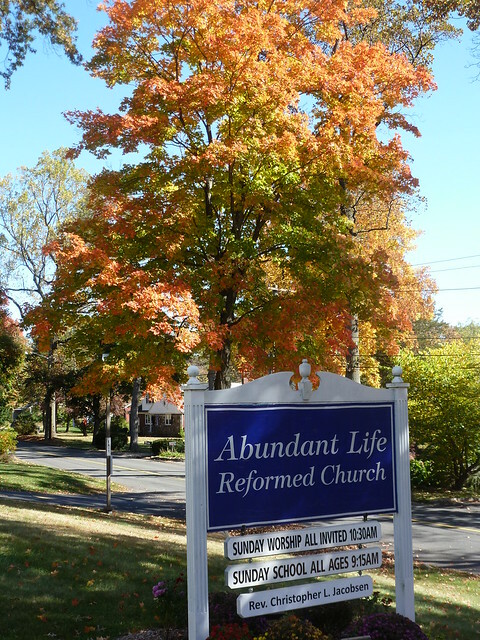 Keith spoke for a few minutes at Abundant Life Church on Sunday morning. Then we enjoyed a soup dinner and shared our story with the congregation. The people of God here were encouraging and prayed for us. They have been longtime supporters of Appu, and they will support us now when we go to Bahrain. We were pleased to meet Dr. Corrine Overkamp, a medical doctor who served in Bahrain for 32 years. Again, we were reminded of the long and faithful track record of people like Corrine in their work with the mission to Bahrain. Keith and Doug, pastor of Second Reformed Church in New Brunswick. We enjoyed dinner at the Stateline Diner in Mahwah, New Jersey. Thank you, Doug. The Nassau Suffolk Classis met at The Community Reformed Church in Manhasset. We were able to see Joanna and hear her tell about the work she and her family do among the Daasanech people in Ethiopia. We also visited the elders at New Life Community Church of Sayville, New York. They listened to us share our call and the work God is doing in Bahrain, and they prayed for us. Here is Scott, the pastor of New Life, with Keith and Ken Bradsell, in front of The Community Reformed Church in Manhasset. Keith used to work with Ken on denominational staff. We continue to be blessed and humbled as we meet so many wonderful people supporting the mission in Bahrain. This entry was posted in RCA by Denise Krebs. Bookmark the permalink.